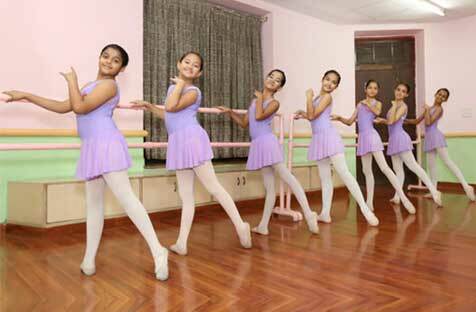 IFBC | Best Ballet classes Learn - IFBC is one of the most famous Ballet Dance academies in India.IFBC is one of the most famous Ballet Dance academies in India. Imperial Fernando Ballet Co is dedicated to sharing our love of dance with as many people as possible. We do this through an exciting program of performances, dance workshops, training programs, public talks, industry experiences, online resources and more. Dance can inspire a variety of physical, social and creative benefits when it’s integrated into a healthy lifestyle or is part of a student’s education. Our education program aims to provide life-long learning experiences and engagement with ballet across the country. We offer many experiences from children learning dance in primary school, through to Adopt a Dancer opportunities for dance studios. Dancer training has been part of Imperial Fernando Ballet Co since the very beginning. Our aim is to provide a clear career pathway through intensive training and to produce young dancers whose talent and abilities are internationally sought after. In addition to our ongoing training programs, Pre-Professional Program, Junior Program, and the Senior Program, we host workshops and masterclasses. Developing the artists of the future plays an important role in IFBC vision. Our aim is to provide a clear career pathway through intensive training, and to produce young ballet dancers whose talents and abilities are internationally sought-after. We offer training programs for gifted students from 4 years of age and host workshops, masterclasses and an annual Summer School. Training programs are supervised by Artistic Director Fernando Aguilera. Students of the Imperial Fernando Ballet Company at the core of the dance training for the school is the Vaganova Training System. This system of training is recognized around the world as one of the leading curriculums of study for dance. A student preparing for professional careers in dance benefit greatly from the Vaganova curriculum and the Vaganova curriculum is widely respected for its built-in injury prevention methodology. A special program is undertaken by the company for prospective students who are interested in joining ballet schools and universities abroad for their higher studies to enhance their professional career under the guidance of senior faculty and mentors of the company. The interested students are trained and prepared for their Audition along with compilation/editing of their profile video containing their classroom training and professional performances. 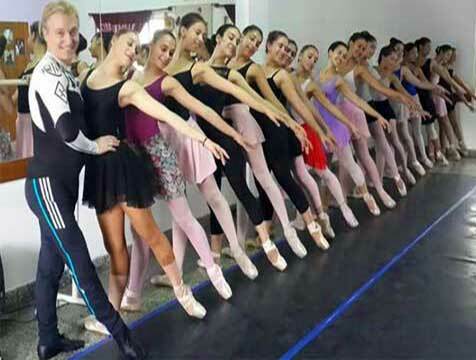 In addition to that company also gives them opportunity to work as an instructor for the junior students of the school and as a corps of ballet in the IFBC production. A complete professional preparatory program is conducted for these students under the guidance of Ballet Teacher and Artistic Director Mr. Fernando Aguilera. Emphasizes that all movement originates from the center of the body which ensures strong, powerful, reliable support with full artistic coloration of the steps. 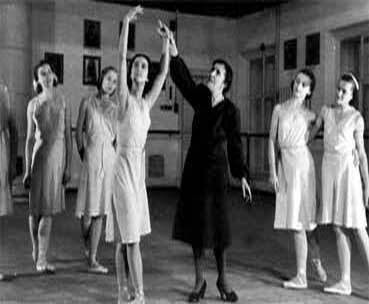 The principals of Agrippina Vaganova (1879-1951) system are the melding of perfect technical virtuosity with truthful expression and elegance, training that leads to technical and artistic freedom. Specific attention is given to epaulement (the cohesive turning of the shoulders, head and the upper body). The system aims to teach students to dance with their whole body in order to acquire a harmony of movements and a broadening of artistic expression. Dance students at most levels, and without any prior training in the Vaganova Training System will find that the process and application of training will be both rewarding and fulfilling given the level and care of our instruction. We love to connect people of all ages with dance. With young people in mind, we have created some highly enjoyable activities for students. Our program introduces young people to dance through a series of workshops in IFBC schools. Ballet, creative movement and repertoire workshops are designed to deliver fun, safe, and inspiring dance experiences for all ages and abilities. These highly engaging dance experiences and learn the technique and we offer them a platform at the end of the year to showcase their knowledge and technique which they have learned from IFBC on stage, which also help them to loose stage fear and turn out to be inspiring dancers of the future.